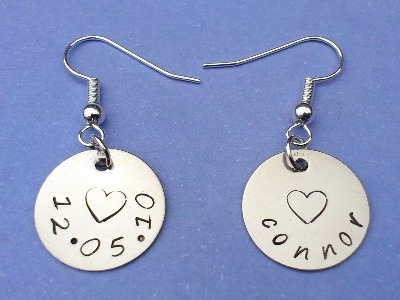 These are earrings made from 20mm stainless steel disc on silver plated earring hooks. 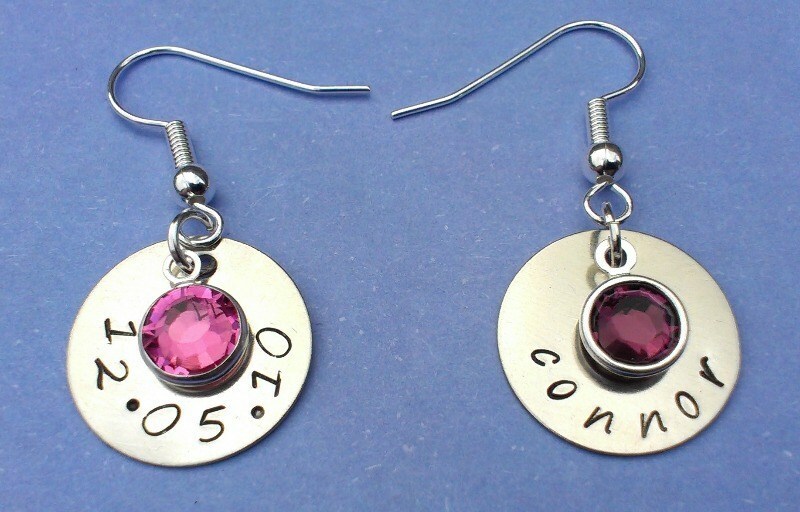 You can also choose to add a swarovski crystal if you would like, either matching, or contrasting one. There is space to have 2-3 names (depending on length) a name and a date, or a message of your choice.